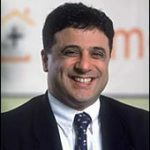 Louis Cammarosano (Smaulgld): Gold & Silver Mining Shares Mania is Coming - Wall St. for Main St.Wall St. for Main St.
Jason Burack of Wall St for Main St interviewed returning guest, gold and silver expert, former Wall St lawyer and former Silicon Valley executive, Louis Cammarosano of Smaulgld https://smaulgld.com/. During this 40+ minute interview, Jason starts off by asking Louis about his views on why the Federal Reserve monitors the Dollar Index so closely? Louis talks about how the Federal Reserve has been able to keep the Dollar Index strong despite doing QE programs with a lot of careful comments put out in public. Louis thinks the Federal Reserve will only announce its next QE programs if the Dollar Index isn’t falling. Jason and Louis then discuss the global economy and the liquidity injections from a number of central banks. Next, Jason asks Louis why he thinks there was a paper bear market in gold and silver from 2011 until the end of 2015? Louis talks about how the East bought massive amounts of physical gold while the paper price continued to fall. Jason asks Louis about negative interest rates playing a major part in the rally for gold and silver and mining shares? Louis thinks there will be a long mania in gold and silver mining shares going forward. Jason asks if the miners problems with raising capital and potentially shutting down mines ended the bear market in 2015? Louis doesn’t think we are at gold or silver prices where a low of new gold and silver mines will be built and he thinks miners are in a real sweet spot as far as their margins go unless oil prices rise substantially, the miners can’t control costs or bring on higher cost production and let their margins slip away or governments increase taxes on miner. Jason and Louis think miners could have excellent margins for a number of years now unless those things happen. To wrap up the interview, Jason asks Louis about Alan Greenspan’s positive comments on gold and his warnings about how much inflation is already in asset markets and the US’ economy. Jason and Louis also discuss what can end a gold and silver bull market?